Our second book, “A New Life”, is the story of a young couple who decides to strike out on a great adventure, moving their family to England to seek out greater opportunities. 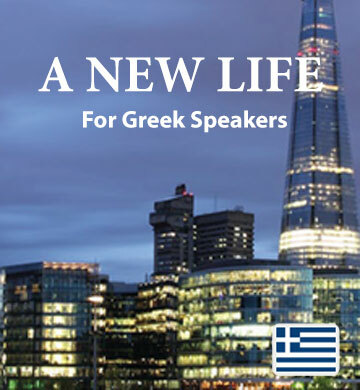 Greek speakers will be drawn into the ups and downs of their days as they explore their new homeland. This downloadable ebook and audio track are designed to make exploring the English language simple and enjoyable. You’ll learn new vocabulary with each chapter, and gain a natural understanding of how English is used and pronounced out in the real world. The Easilang app, included in your download, lets you read and listen to your Easilang books on your tablet, phone, or mobile device.